Life on the Water is meant to collect the accounts I've kept of living in the Cook Islands, in the South Pacific, in 1991, and the voyages I made with the Whimsey, a wooden sailboat I built in 2003 so I could sail around the Strait of Georgia. I kept an account of tide and points of sail, as well as what it was like to sail when I knew so little about living in that way. 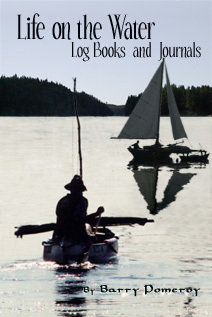 I sailed off Vancouver for three summers and these logbooks find a place here. Likewise, in the summer of 2004, I canoed down the St John River in New Brunswick and kept a record of what it was like on the river and who I met along the trip. Come learn along with me as I discovered, by times slowly and always with delight, what a life on the water entailed.